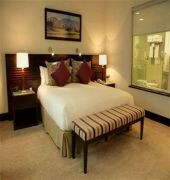 This four-star contemporary hotel combines traditional hospitality with excellent amenities to ensure unforgettable stay. 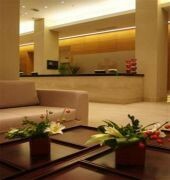 Notable among standard features are free wireless high speed internet service, a state-of-the-art fitness room, a well-equipped business center and Jacuzzi.Each of the 58 spacious and comfortable rooms is tastefully appointed with elegant furnishings and features air conditioning, LCD TV and bathtub with hydro massages.The hotel%u2019s restaurant welcomes guests to discover a diversity of regional and international flavors. 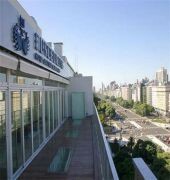 Moreover, the hotel has a bar serving an extensive beverage menu, light bites and refreshments.Centrally set in the city of Buenos Aires, the Eurobuilding Hotel Boutique offers endless opportunities to explore the abundant shopping, dining and nightlife destinations of this dynamic city.This downtown hotel is close to Edificio Barolo, Obelisco, and Plaza de Mayo. 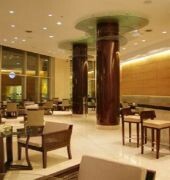 Also nearby are Buenos Aires Metropolitan Cathedral, San Martin Cultural Center and Congresso Nacional.